Knit a classis fair isle yoke inspired cardigan with a fruit themed motif, using baby safe Bernat Softee Baby yarn. Knit a classic fair isle yoke cardigan with a twist. 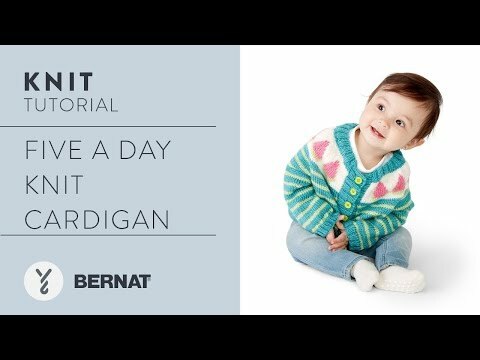 The large shade range of Bernat Softee Baby allows you to work up this cardigan with a fruit inspired yoke motif. Knit in stocking stitch and ribbing for the colors and cuffs, the fair isle yoke is worked flat.